This book is bound in red cloth with decorative red, pink and orange boards. 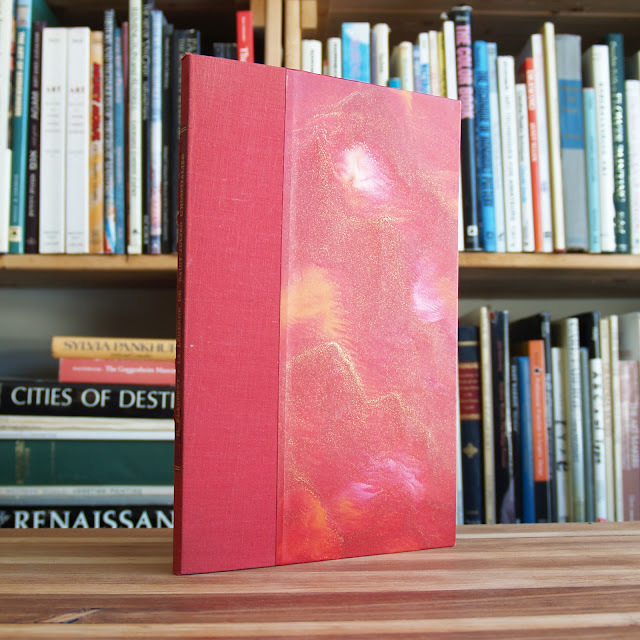 Spine has red leather label with gilt titles. The book has been professional rebound. 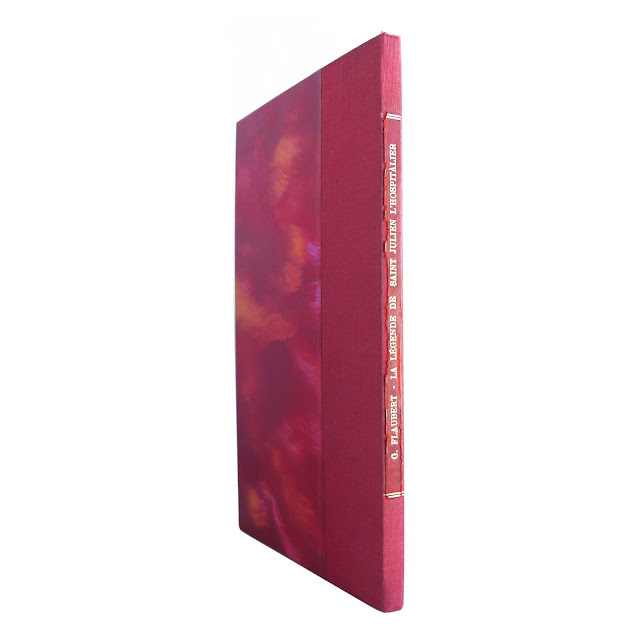 The book is a French-language limited edition of Flaubert, with Art Deco-style illustrations; it is No. 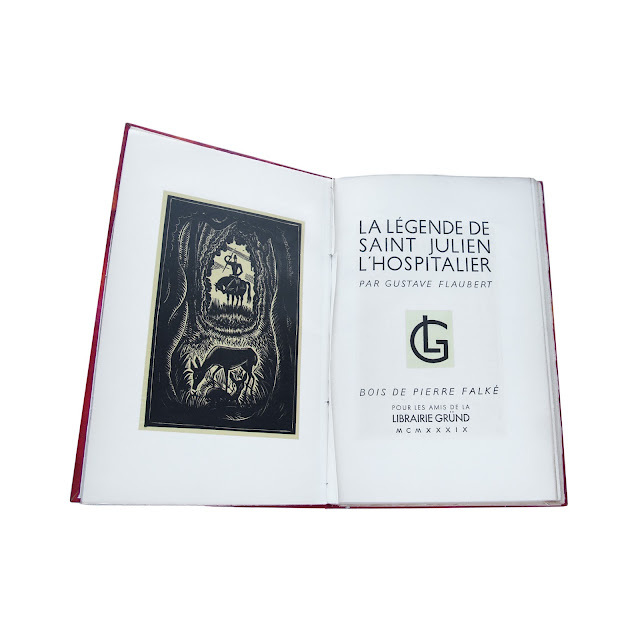 152 of 1,000 numbered editions printed for Friends of the Librairie Grund. 50 pages; approx. 6"x9". 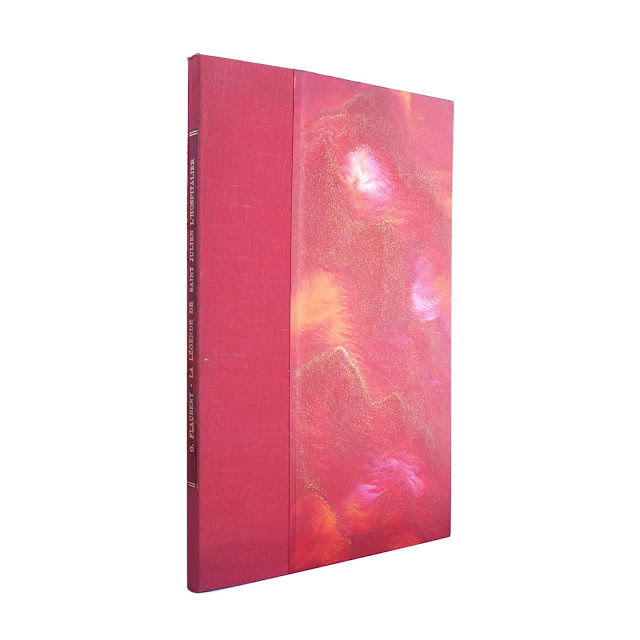 Book is in good clean condition overall, gift inscription, some light wear and soil. Light wear to spine label.